Example 1: When running an invoice or a report with the Viewer output selected, it loads a blank page. Example 2: Reports using the Viewer option generate an intervening screen after clicking Run Report with missing graphics or buttons (see below). Some reports, such as the Time Card Half-Monthly, requires additional information before running. This issue is caused by the .Net Framework 4.6 being installed on the server, which causes the .NET installation path to change. This issue can be resolved by copying the existing ASP .NET folder under C:\inetpub\wwwroot\aspnet_client\system_web and renaming the copied folder to the appropriate path. 1. On your browser, right-click on the intervening screen and select Inspect. We suggest using Google Chrome because of its Inspect option that easily identifies the new ASP .NET path. 2. Select the Sources tab on the Inspect screen. 3. You should see a tree structure with the aspnet_client entry displaying a folder with a version number in its path. Your path will be probably different than the version number (4_6_118) shown in the image above. Verify the path on your screen. Note: Internet Explorer does not have this option. 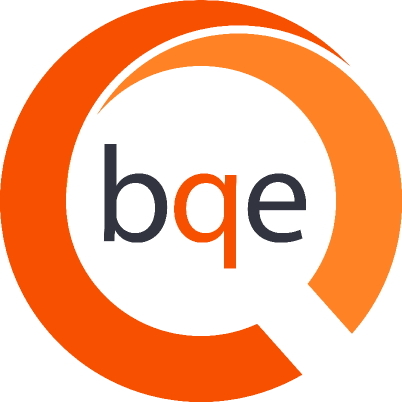 If you are using it, search the contents of the BQE software product's web.config file for the path. 4. This folder does not exist on the server. So browse to that folder location: C:\inetpub\wwwroot\aspnet_client\system_web. 5. The standard folder is 4_0_30319. You must copy that folder to a new folder in this same location and name it, say to 4_0_30319 - Copy. 6. Now rename this copy to the new version number to match the path in the above steps, say rename 4_0_30319 - Copy to 4_6_118. 7. Clear the browser's cache on the client workstations and everything should work fine now. The screenshot below shows how the intervening screen on the Time Card Half Monthly Report should appear now.